UNIONDALE, N.Y. — The last time Matt Lewis played a competitive match at Fordham University he celebrated with his Rams’ teammates a big comeback victory in the NCAA Division I playoffs. 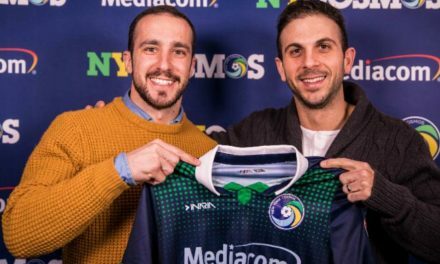 When he returns to the Bronx venue on Wednesday afternoon, the center back hopes to celebrate another win — but this time with his new team, the Cosmos. 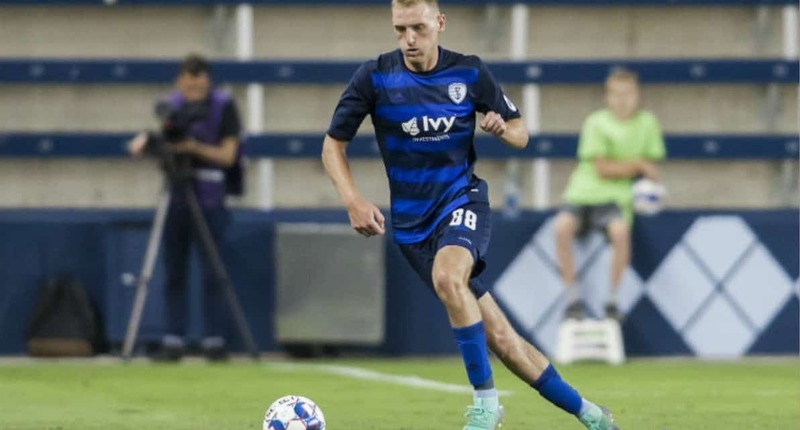 Lewis can’t wait to see and play against his former teammates as the Cosmos meet the Rams in their fifth preseason match at 4 p.m.
After his 2018 season with Swope Park Rangers (United Soccer League), Lewis trained with the Fordham squad near the end of its season. 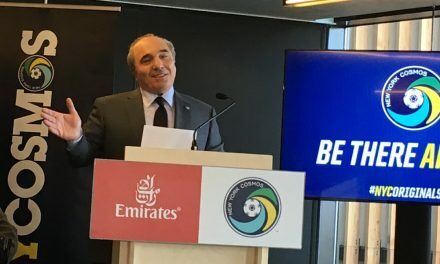 Lewis’ primary responsibility will be to make sure no Fordham player celebrates a goal as the Cosmos play in their penultimate preseason match. Carlo Acquista was named Fordham head coach in January, replacing Jim McElderry, who moved to Rutgers University. McElderry guided the Rams through what was a magical run through the 2017 NCAA Division I tournament. Not given much chance to advance deep in the competition, Fordham won three consecutive games — two on the road in Atlantic Coast Conference territory — because its quest was denied by the University of North Carolina in the quarterfinals. Lewis and company started their run with a 3-2 comeback win over St. Francis Brooklyn as the center back tallied a late equalizing goal at Fordham. 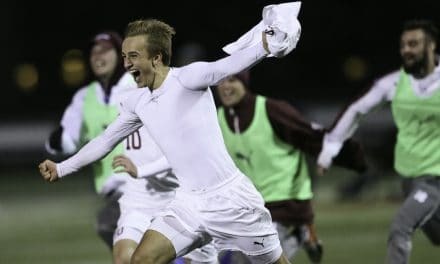 Three days later they followed that up with a stunning 1-0 victory at 11th-seeded University of Virginia in Charlottesville, Va. before pulled out an 8-7 shootout triumph over sixth-seeded Duke University a week later in the Sweet 16. Fordham’s Final Four hopes were squashed by North Carolina via a 2-1 decision in Cary, N.C., the school’s third tournament game at an ACC school in 14 days. The Duke game put supporters on both sides of the ball on one hellacious rollercoaster ride before goalkeeper Rashid Nuhu made three saves in the shootout to seal an historical result, especially after surviving a close encounter at Virginia. “At Virginia, scoring late, we didn’t have much of the play at all, but stuck to the script,” Lewis said. “We got our chance and capitalized. That was the theme of the whole thing. We’re going to be in these games, we’re going to get our opportunities, we’re going to take a lot of pressure. We’ve just got to withstand that pressure and then capitalize when we get the chance. Not surprisingly, the 6-2, 165-lb. Lewis and his teammates had mixed emotions. They pulled off two improbable road upsets and made history as a Fordham sports team never had advanced that far in an NCAA tournament, and were so close to reaching the Final Four. Nowadays, Lewis is thinking about helping the Cosmos find success. Head coach Carlos Mendes has been impressed with the second-year pro’s ability and work ethic. And Lewis is happy with the squad as well.